Englewood, OH (October 2, 2017) – Buffalo Pacific, LLC announced today that it has signed a definitive agreement to acquire Telepresence Technologies, Inc., located in Plano, Texas. TelePresence Tech (TPT) is the innovator of “Holographical RealityTM” protected by 13 US patents and one European Union patent that serves as the center piece of Buffalo Pacific’s “Community Portals”.Mr. 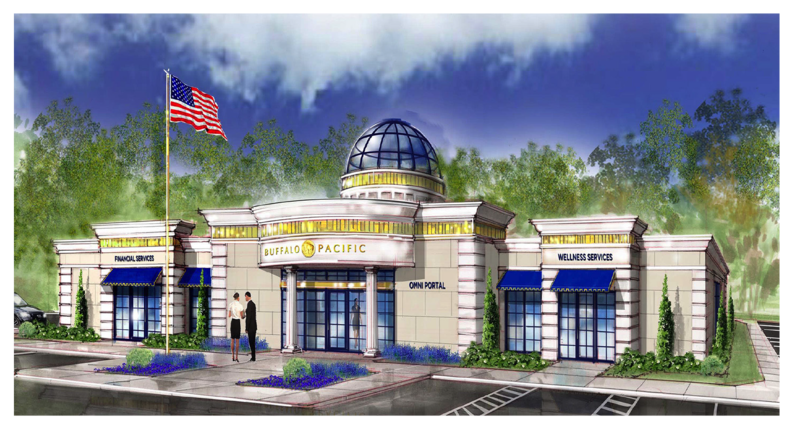 David Allen, Chairman and CEO of Buffalo Pacific, noted “acquiring TPT is the culmination of a long-standing strategy to implement the revolutionary Holographical RealityTM patent portfolio within the architecture of Community Portals built by Buffalo Pacific. Buffalo Pacific Portals will provide communities with access to services by experts and professionals from around the world with an immersive telepresence experience. The first 8,000 sq. ft Buffalo Pacific Portal is currently under construction in Troy, Ohio with opening scheduled by the end of this year.Buffalo Pacific intends to transform banking, education and healthcare by increasing customer access to services from these “telepresence centers.” The BP Community Portal will become a local community asset and central access point to key services for the area. Buffalo Pacific is working to secure leases with a variety of financial service, education and healthcare leaders across the country who believe that the Omni-Series will give their firm the opportunity to better serve their consumers while generating new relationships from new communities and solidifying their distributed access. These Portals under one roof and provide the foundation for our company’s significant growth and sustained excellence. We intend to completely change the world of banking, education and healthcare by increasing customer access to a service experience like no other, available in community portals that will be convenient and accessible nationally. TPT will operate as a wholly-owned subsidiary and continue designing, engineering, and manufacturing Holographical Reality solutions for Buffalo Pacific and existing clients. Buffalo Pacific will continue to focus its efforts on their Community Portal initiative, that brings together education, financial services and telemedicine health-care through distributed access to communities around the country.